There’s a new trailer out for Steven Soderbergh’s spy thriller Haywire and the best way to describe it is bigger, faster, longer, harder. 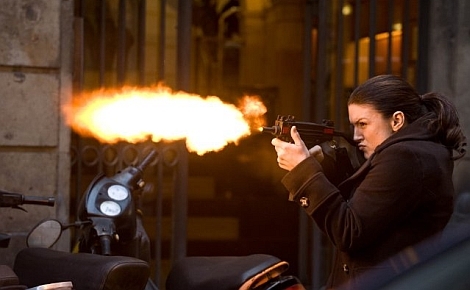 Haywire stars Gina Carano, Ewan McGregor, Channing Tatum, Antonio Banderas, Michael Douglas and Michael Fassbender. It’ll be smacking up US and UK screens on 20 January 2012.